Compatible with all KX-TDA phone systems. KX-TD7680 – (Soon to be discontinued)* The KX-TD7680 is a 2.4GHz wireless handset designed for use with the KX-TAW848 or KX-TDA phone systems. It will not work without the transmitting cell stations (sold separately), or with other phone systems. A compact charging cradle is included, and it can be used on a table, desk or wall. The cradle requires electrical power, but no phone jack. 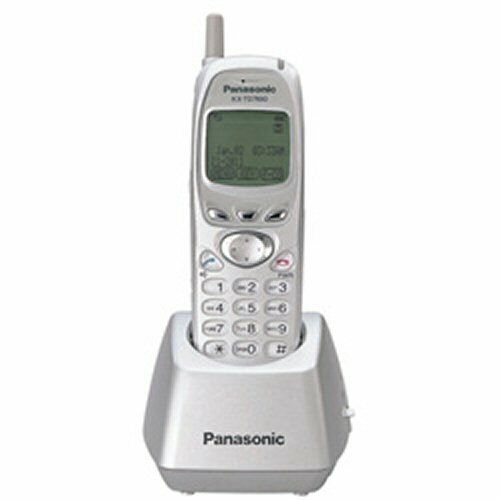 Not a stand alone phone, must be used with a Panasonic Phone System and Cell Stations(sold separately). Compatible with the KX-TAW848 system, and all KX-TDA phone systems. 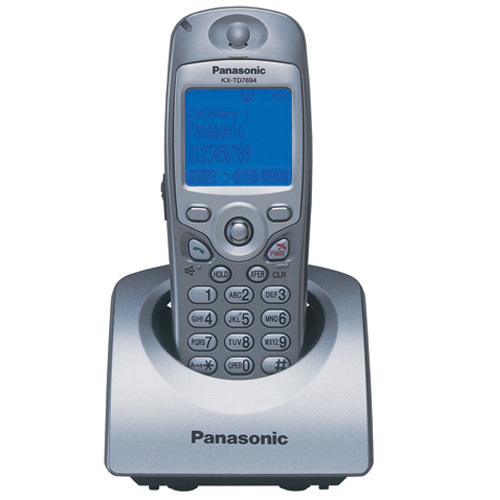 KX-TD7690 – (Soon to be discontinued)* The KX-TD7690 is a 2.4GHz wireless handset designed for use with the KX-TAW848 and all KX-TDA phone systems. This premium ?executive? model is a sleek and extremely lightweight unit styled like a cellphone, that can easily fit into a shirt pocket. It will not work without the transmitting cell stations (sold seperately), or with other phone systems.